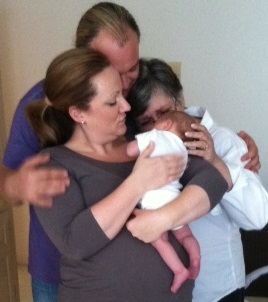 My daughter arrived here in California Thursday to surprise Andy and Sarah, and to see Baby Rebekah. The three of us were sobbing, just an fyi. Jen’s leaving for Pennsylvania tomorrow; she misses her family. She’s very pregnant, too. We leave Thursday for home and I am trying not to think about it too much. 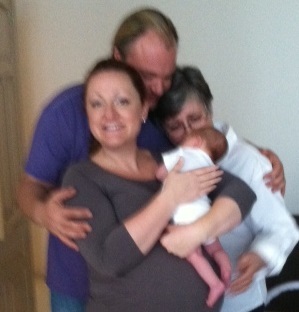 But then, we have the next birth to celebrate in just three more months.